Paula Sheriff is a Labour Party politician. At the age of 18, Paula began working for the police in a Victim Support role, receiving a Judge’s commendation for work undertaken in supporting victims of sexual abuse. After nearly a decade in the police, Paula joined the NHS, working in a frontline role in community healthcare provision. She has been the Member of Parliament for Dewsbury since 2015. In March 2016, Paula became the first backbench MP in Parliamentary history to have successfully had an amendment to a Budget resolution finally adopted. She was appointed Shadow Minister for Mental Health and Social Care in January 2018. She is involved in many local healthcare campaigns, including ‘Save Dewsbury Hospital’ and ‘Hands Off HRI’. Eleanor Smith is a Labour Party politician. Eleanor worked as a theatre nurse for 35 years in the NHS. After becoming a union activist in the 1980s, she was elected the President of Unison, the country’s largest public sector union, in 2011. 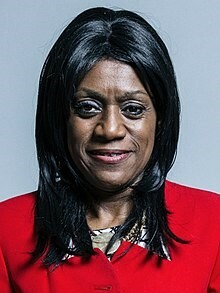 She has been the Member of Parliament for Wolverhampton South West since 2017. She is the first MP from an African-Caribbean background to represent a constituency in the West Midlands. She lists her Parliamentary priorities as the NHS, fighting inequality across society, homelessness and youth unemployment. Preet Kaur Gill is a Labour Co-Operative politician. Preet Kaur Gill graduated from the University of East London with a First-Class BSc in Sociology and Social Work, before working with children in India and as a social worker on a kibbutz in Israel. In 2012, she was elected as a councillor for Sandwell Metropolitan Borough Council, serving as the Cabinet Member for Public Health and Protection. In 2017, she was elected the Member of Parliament for Birmingham Edgbaston. 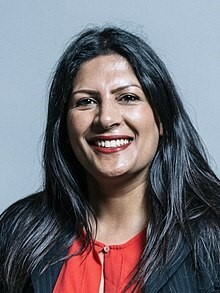 She is the first female British Sikh MP. In July, she became a Member of the Home Affairs Select Committee. She is Chair of the All-Party Parliamentary Group on Mentoring and Sikhs. In January 2018, she was appointed to the Shadow Cabinet as International Development Minister (a role shared with Dan Carden MP). As well as her Parliamentary duties, Gill continues to be a councillor on the Sandwell council as well as a non-executive director for the Spring Housing Association. Sir Peter Bottomley is a Conservative Party politician. After reading Economics at Trinity College, Cambridge, he became a lorry driver and joined the Transport and General Workers Union, before moving to industrial sales and industrial relations. In the 1970s he co-founded the Neighbourhood Council in South Lambeth. He has been a Member of Parliament since 1975 and has represented the Worthing West constituency since 1997. Between 1978 and 1980, he was President of the Conservative Trade Unionists. He was also a trustee of Christian Aid between 1978 and 1984. He is a member of the Ecclesiastical Committee and has been appointed the Parliamentary Warden at St. Margaret’s Church, Westminster. He has led the United Kingdom delegation to the Parliamentary Assembly of the Organisation for Security and Co-operation in Europe (OSCE). He is vice chair of WATCH, Women and the Church, supporting full equal acceptance of women in the church. Having been a backbencher for nine years, in 1984, Margaret Thatcher appointed him as the Parliamentary Under Secretary of State at the Department for Employment, before he became the Minister of Roads and Traffic in 1986. He has been a backbencher since 1990. He has supported a range of causes in this time, including assisting British pensioners overseas and those suffering from haemophilia. In 2011, he was in more Parliamentary groups than any other MP. Caroline Lucas is a Green Party politician. After gaining a First-Class BA in English Literature at the University of Exeter in 1983, she won a scholarship to the University of Kansas. She then gained a Diploma of Journalism before studying for a PhD in English from the University of Exeter. During her university years, she went on many trips to the Women’s Peace Camp at Greenham Common and to the Molesworth peace camp. She was involved with the Campaign for Nuclear Disarmament and the Snowball Campaign, which campaigned against US military bases in the UK. In 1989, Lucas began working as a Press Officer for Oxfam, later working for the charity in other roles until 1999. Lucas joined the Green Party in 1986, having been inspired by Jonathon Porritt’s book ‘Seeing Green’. She acted as the Party’s National Press Officer between 1987 and 1989 and Co-Chair between 1989 and 1990. 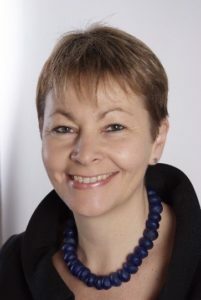 When the Green Party separated into constituent parts in 1990, she joined the Green Party of England and Wales and was their General Election speaker from 1991. Lucas’ first electoral success came when she gained the Green Party’s second UK council seat, on Oxfordshire County Council, which she then held between 1993 and 1997. Lucas was elected as an MEP for South East England in 1999. She was subsequently re-elected in 2004 and 2009. She was elected as the Green Party’s first leader in 2008. In 2010, she was elected as the Green Party’s first ever MP, representing Brighton Pavilion. She increased her majorities at both the 2015 and 2017 elections. Lord Sheikh is a Conservative Party politician and life peer. Born in Kenya and raised in Uganda, it was upon his arrival in the UK that he joined the Sun Alliance Insurance Company in London. He attended the City of London College and Holborn College where he completed the Associateship of The Chartered Insurance Institute and subsequently passed the Fellowship of The Chartered Insurance Institute. He also later attained the Financial Planning Certificate. He has been President of the Insurance Institute of Croydon and a member of the National Council of the Chartered Insurance institute. 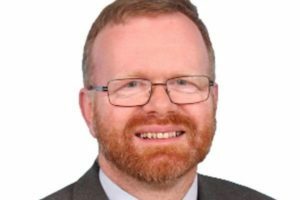 He was Regional Chairman of the British Insurance Brokers Association on two occasions and was a Director of the Main Board of the Association for four years. 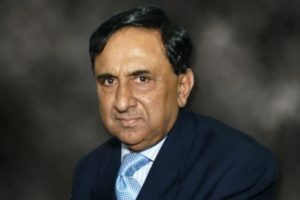 He is the Chairman of Macmillan Sheikh PLC, an insurance broking and underwriting agency organisation, and is also the Chairman of Iqra Ethical PLC and two property companies. He was previously the chairman and Chief Executive of Camberford Law PLC. He founded the Conservative Muslim Forum in 2005 and was its Chairman for several years, now serving as President of the Forum. In 2006, Lord Sheikh was elevated to the House of Lords as a Life Peer, taking the title of Baron Sheikh of Cornhill in the City of London. He has founded and funds a registered charity, The Sheikh Abdullah Foundation, in memory of his father. The Foundation recognises and rewards talented young people. He has spoken in the House of Lords on various topics, including the charity sector, trade, and organ donation. Tanmanjeet Singh Dhesi is a Labour Party politician. He studied for a bachelor’s degree in Mathematics with Management from University College London. He then studied Applied Statistics at Keble College, Oxford, and has a Master of Philosophy in the history and politics of South Asia from Fitzwilliam College, Cambridge. He then worked in his family’s construction business. In 2007 he was elected as a Labour councillor. He has also been the Mayor of Gravesham. 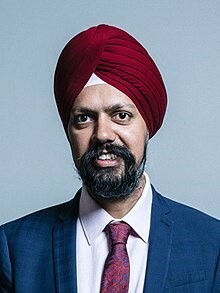 In 2017, he was elected the Member of Parliament for Slough, making him Britain’s first turbaned Sikh MP. He gave his maiden speech in July 2017. Ruth Smeeth is a Labour Party politician. 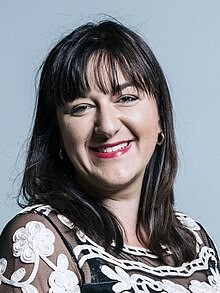 In 2000, Ruth Smeeth graduated with a degree in Politics and International Relations from the University of Birmingham. She worked in Public Relations, and from January 2004 to September 2005 worked in a PR role at Sodexo, before moving to become director of public affairs and campaigns at the Britain Israel Communications and Research Centre in 2005. She later worked in PR for Nestlé. In 2010 she was appointed as director of anti-racist organisation Hope Not Hate. Descended from Russian Jews who came to England in the 1890s, she describes herself as “culturally Jewish” and is a member of the Labour Friends of Israel. In 2015, she was elected Member of Parliament for Stoke-on-Trent North. 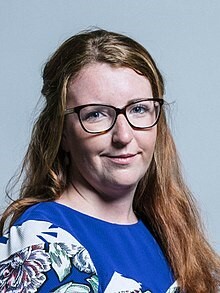 In June 2016, Smeeth resigned her role as Parliamentary Private Secretary to the Shadow Northern Ireland and Scotland teams, in protest against Jeremy Corbyn’s leadership. In 2017 she was appointed Vice-Chair of the Parliamentary Labour Party. Louise Haigh is a Labour Party politician. After studying Politics at the University of Nottingham, she worked for a council youth service between 2006 and 2008. She then started working in Parliament, acting as the co-ordinator of the All-Party Parliamentary Group on International Corporate Responsibility. She was also a Unite shop steward and special constable during this time. In 2012, she started working for Aviva as Public Policy Manager, ensuring corporate governance and responsible investment policy. She was elected as the Member of Parliament for Sheffield Heeley in 2015. In September 2015, she was appointed Shadow Minister for Civil Service and Digital Reform. In October 2016, she was appointed Shadow Minister for the Digital Economy. In July 2017, she was made Shadow Policing Minister. In November 2016 Haigh introduced a Private Members’ Bill calling for statutory leave from work for living organ donors, after a constituent complained of being given three days’ unpaid holiday after donating bone marrow. Haigh is a member of a number of All-Party Parliamentary Groups, including the APPGs on Corporate Governance, Refugees, Colombia and Looked After Children. In July 2017 she was elected Vice Chair of the APPG on State Pension Inequality. A February 2016 study found her to be the “hardest working” of the new MPs who had been elected in 2015. Martyn Day is a Scottish National Party politician. Before entering politics, he worked as a personal banking manager in the Bank of Scotland. In 1999, he was elected to West Lothian Council at the Scottish local elections. He spent sixteen years as a full-time councillor. In 2015, he was elected Member of Parliament for Linlithgow and East Falkirk. 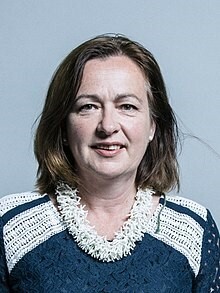 Liz Saville-Roberts is the Plaid Cymru MP for Dwyfor Meirionnydd. She has served as the constituency’s MP since May 2015. She is Plaid Cymru’s Westminster spokesperson for Education, Health, Home Affairs, Environment, Food & Rural Affairs, Women & Equalities, Local Government and Energy & Natural Resources. Jack Dromey has been the Labour MP for Birmingham, Erdington since 2010. He is currently the Shadow Minister for Pensions. He was on the Executive of the National Council for Civil Liberties for ten years. Jack has a long history of standing up for the rights of those people who have been persecuted and against the groups that carry out such persecution (e.g. the Far-Right). He has joined the APPG to help in the battle against hate crime in the UK. Janet Daby is the newest MP on the APPG on Hate Crime. 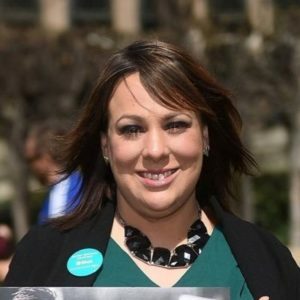 She was selected to defend the Lewisham East constituency for Labour when the incumbent MP, Heidi Alexander made the decision to stand down in order to take on a role working with Sadiq Khan as a Deputy Mayor. She has held a seat on Lewisham Council since 2010 and has served as the Cabinet member for Community Safety. Afzal Khan was the first Asian Lord Mayor of Manchester City Council (in 2005). 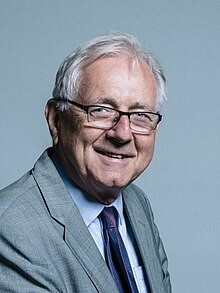 He became an MEP for the North-West region in 2014 but following the death of Gerald Kaufman MP in 2017 he was selected to stand for Labour to defend the seat of Manchester Gorton. A former police officer, he has served as Shadow Minister for Immigration since the General Election of 2017.